Certain types of fungi (most common include Candida and Tinea) can infect the skin, mucous membranes (i.e. mouth and/or colon), finger and/or toe nails, between the toes, groin area, and scalp. 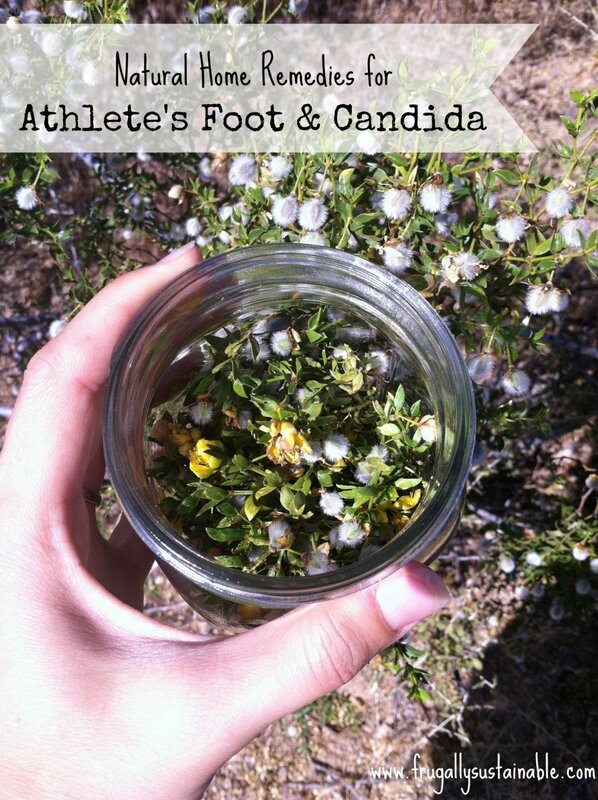 They take the names of athlete’s foot, jock itch, nail fungus, thrush, yeast infection, and ringworm. Athlete’s Foot — one of the more common fungal infections — at one point or another effects an estimated 70% of the population. It has been noted that candida infections rarely occur in people with strong immune systems who eat a diet that is high in whole, traditional foods, low in processed sugars and yeast. changing towels, socks, underwear, and clothing daily — washing in hot water with a few drops of tea tree oil added. The following home remedies can be used to treat any type of fungal infection. Soak affected area in a strong infusion of chaparral leaf and goldenseal for 15 minutes twice a day. Drink 3-6 cups of pau d’arco bark tea daily. To make this tea, boil 1 quart of pure water with 2 tablespoons of herb for at least 5 minutes. Cool and store it in the refrigerator with the plant material in…strain before drinking. Bathe affected area in a 50% apple cider vinegar solution daily. Blend 1 clove of fresh garlic with 1/4 cup sesame or coconut oil. Apply raw, unfiltered honey to the affected area, then apply the garlic mixture (avoiding the surrounding healthy skin). Cover with sterile gauze or bandage cloth. Leave in place for 4-6 hours. Repeat daily. Take an eleuthero root tincture for its immune system building properties. Tea Tree Oil, Black Walnut Extract, Camphor Essential Oil, Thyme Extract and/or Oil, Cinnamon Essential Oil, and Oregano Oil are all powerful antifungal agents for external use. Olive Leaf Extract is also an excellent healer of microbial infections. 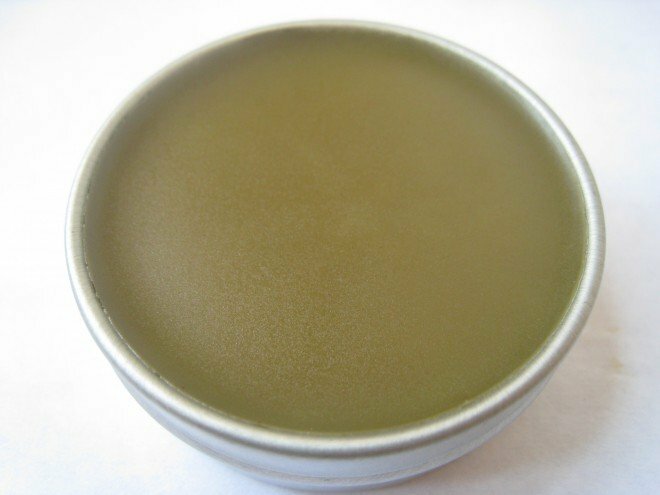 Make this extremely potent herbal antifungal salve and apply to the affected area 3 times a day. 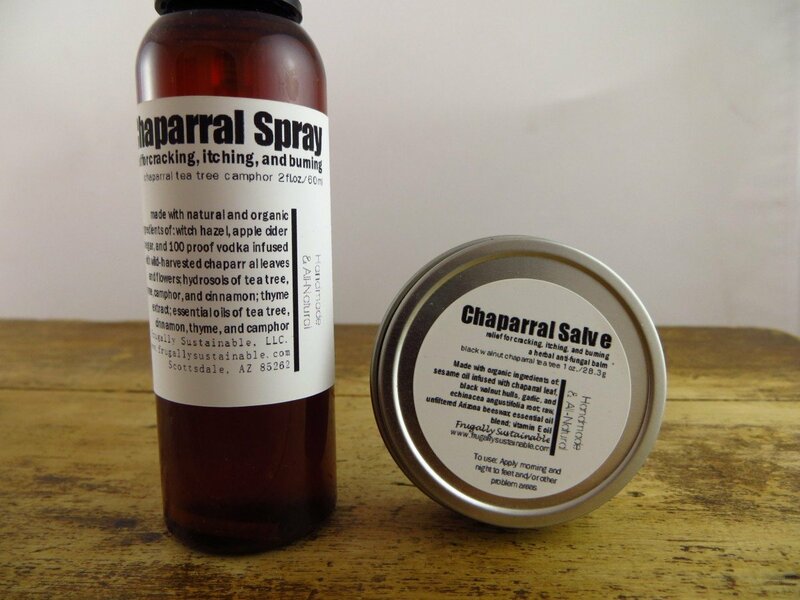 Pour apple cider vinegar, vodka, and witch hazel over the chaparral until it covers the plant material entirely. Place a lid on the jar and shake well to combine. The jar should rest in a warm place, near a sunny window, and somewhere that allows you to shake it at least once daily (twice is best). Strain mixture through a cheesecloth-lined, fine mesh sieve. Reserve the herb-infused liquid and compost the plant material. This spray will keep in a dark-colored glass bottle or clear glass in a cool, dark place for approximately 2-3 years. 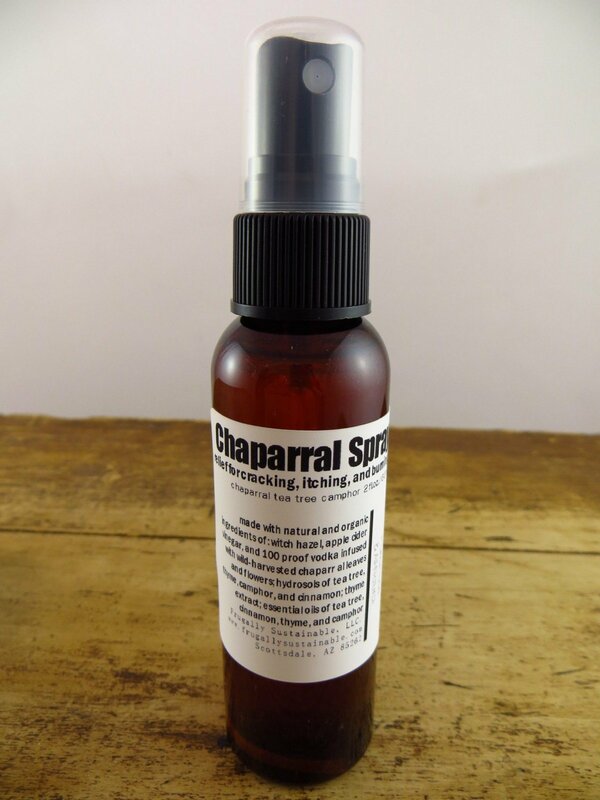 This Herbal Anti-Fungal Spray does have a long shelf life and does not require refrigeration. Use as you would any commercially-prepared anti-fungal spray product. Apply the spray directly to affected area at least 2 to 3 times a day. Okay for use over large skin surface areas such as the legs, arms, feet, back, and torso. For small local treatment as in topical nail treatment apply directly to the affected area. –From Nature With Love likewise carries a HUGE selection of high-quality raw materials. is available for purchase in my Etsy Shop. You are awesome! I love your website! Thank you for all of the information you are always sharing! I have an 8 week old baby with a recurring diaper rash. When I had him my water broke and then I didn’t really go into labor. My water was broken at lest 24 hours before my son was born. My midwife urged me to take antibiotics while in labor because of this. I believe this is why my son is getting the rash. The rash consists of little white head pimples and red raw areas. Would you recommend any of your anti fungal treatments for this or would they be too harsh for a baby? My baby got a horrible diaper yeast infection. None of the products over the counter worked for me. I finally just used doTERRA’s pure Lavender oil, and Melaleuca oil in a base of fractionated coconut, and it was cleared up in about 2 days! No side effects, no harmful steroids… Lavender soothes, and heals, while the melaleuca killed the candida. You might also get him some baby- acidophilus to try to reintroduct the good bugs back into his gut that was killed with the anitbiotic. I love this remedy! Thank you. I work part time as a swim instructor and aghletes foot is scarily common. This spray will be amazing to have on hand. I’ve been using a tincture of goldenseal a friend made me with great results too. For the diaper rash, you could extract calendula, chamomile and lavender flowers in olive oil/jojoba oil. It works wonders on any rash for babies or adults. 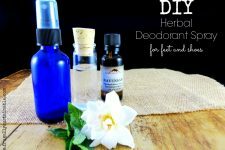 For fungus, add tea tree oil to the mix. I was given an antibiotic during my delivery, and I have had issues with candida ever since. In fact, I have had reoccurring mastitis, as well as my baby getting reoccurring thrush (breast feeding) for his first few months of life. He is 7 months old now, and has not had thrush for several months, but had a fever last week and was ill. This lowered his immune system (I am assuming), and he has some thrush again. I know this is coming from me, and I am attempting to rid my body of the yeast. I am not sure how. I am not a big sweets person. I watch my diet. I have heard that coconut oil does help rid the body of thrush. Also, I know there are “candida diets” that I could try but I am nursing so not sure what the best options are. Are there herbs, and/or tinctures that would help? I suggest to take a Probiotic or Apple Cider Vinegar daily to help the good bacteria fight the yeast building in the body. or reviews and other information, is there any other web page which provides such information in quality? I have tinea versicolor and its on my chest, under my breast, and starting to form on my neck. I wanted a home remedy and wanted to know would this work on my skin? And would it be irritating to my skin? Thanks! Your advice is very helpful. But recently I found something completely new: Insoles made of cedarwood (e.g. zederna). It also seems to help very well against sweaty feet, smell or athlete’s foot. I liked recipe of anti-fungal spray. This is natural and contains natural ingredients. Natural products do not have any side effects on skin. What i don’t understood is if truth be told how you are now not really much more neatly-appreciated than you may be now. to be fascinated unless it is something to do with Woman gaga! 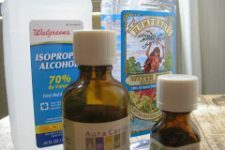 The best remedy for athlete’s foot, jock itch, and ringworm is your own urine. The OTC creams use a processed form of it. When you wake up in the morning you hold your pee until you get into the shower, then catch it in a paper cup and pour it all over the affected area. Wait a few minutes before washing it away with soap and water (let it do it’s magic before washing it away). God gave our bodies many ways to heal itself (i.e. look at all the benefits of breast milk – for the baby & mother). P.S. 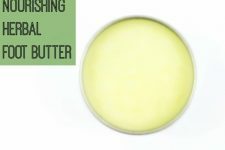 I am a huge fan of unrefined Shea Butter to treat different skin conditions, especially for babies!